I have these two beauties that are apparently ones that you made. I would love to get any information on them that you might have. Sorry Andrew , I just found this . 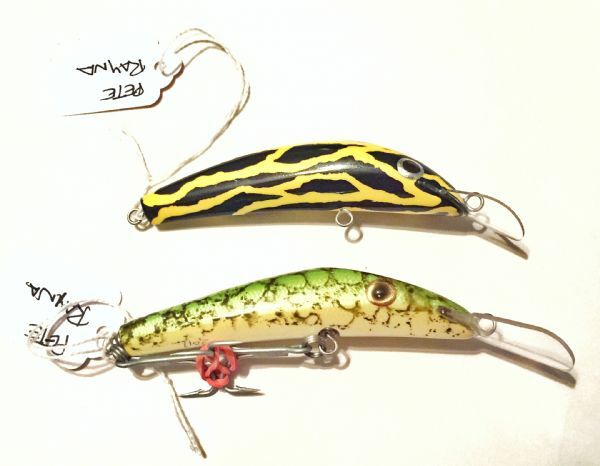 These were probably made about 18 months ago and were probably ''Protos'', as seen on the green one with a tick on the LIP- I'm assuming these have a body length of about 90mm (3 3/4'') and I think I only made 3 of those green ones. 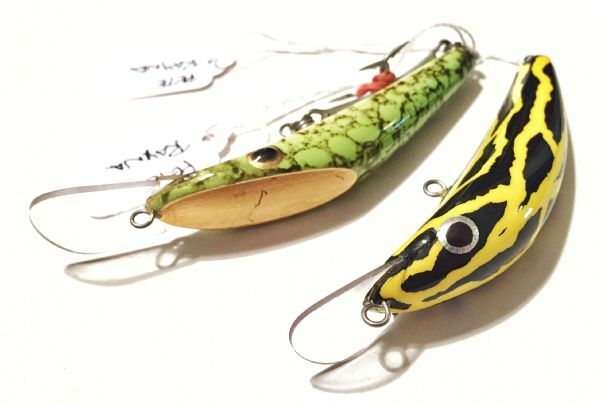 Had a lot of trouble making the yellow/black one (''Corroboree Frog'' Pattern) this blank shape would not swim deep enough, too much buoyancy in the front. I decided to put the blanks on a diet and with a bit or artistic license and a few experiments with gold leaf, the green one is one of the prototypes (called them ''Shovel heads''). 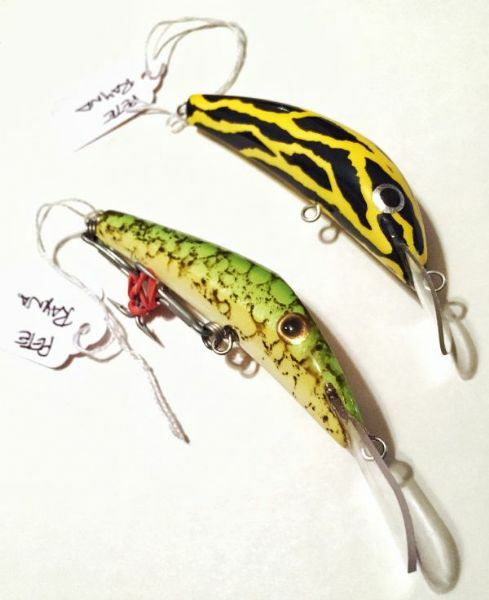 Great looking lures there Pete! I only made 3 of those green ones. prototypes (called them ''Shovel heads''). Nice ... thanks for the information , I appreciate it ! They are definitely beauties, and I love them. I’m getting ready to make a display case for all my Aussie lures, so these will be proudly displayed soon. Yeah I dropped a barra earlier this year on a similar pattern (non shovel head).